A band is not just held together by it’s music alone. There needs to be a bond, at least for them to last for 36 years. This band has been together since 1980, something practically unheard of! The music is what first brought them together but it’s their shared love of performing and being together that keeps them there. Life can be hard, but friends like this can help to manage the pain. You can see their close connection on stage, encouraging each other and enjoying the moments. The Smithereens had performed at The Larcom a year ago, but people were eager for more and the house is packed. The band comes out to a welcoming audience. 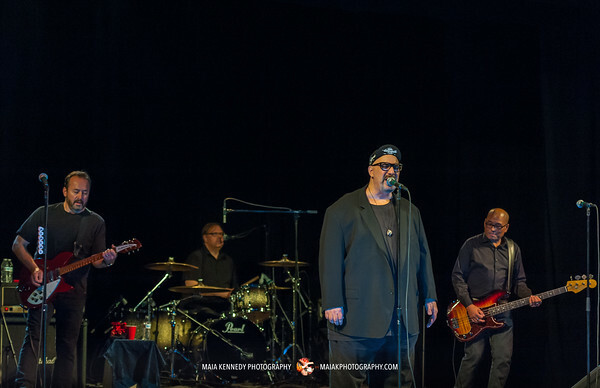 The singer, Pat Dinizio, a crooner with a voice like Tony Bennett, a rarity for a rock band, leads the pack. This is a band of brothers and they all trade moments in the spotlight. Keyboardist Andy Burton, who’s played with other notable musicians such as John Mayer and Rufus Wainwright, joined The Smithereens this night. Having this additional instrument made it possible for them to perform many songs they couldn’t play at last year’s show. The setlist was packed, over 30 songs including a lengthy encore along with multiple standing ovations. Another surprise was a special guest appearance by local blues favorite, Barrence Whitfield from Barrence Whitfield and the Savages. Barrence, well-known as a “full-throttle soul screamer,” does not disappoint this evening and brings it on, screaming his notes to perfection. This group of talented musicians entertains the whole night. Pat often speaks to the audience in between songs, making us feel as if we are hanging out with him in his living room. He mentions different women in the audience by name and dedicates songs to them. At one point he asks, “Where is Stacy from Westford? 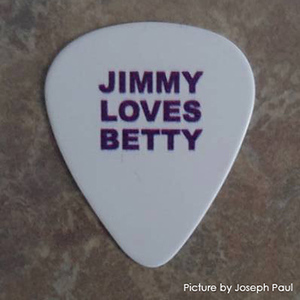 I haven't seen her in 45 yrs, but I'm going to see her after the show. … (he chuckles) Don't worry, I look different too.” Everyone laughs. After the show, the guys come out to hang with everyone in the theatre lobby. There is a long line of people winding thru the halls waiting to see them. Even though they have just played a full set, 2 hours or more, they wait until every person there has gotten time to chat, receive autographs, and take a few selfies with the band. Everyone goes home with happy memories, at least enough to hold over until next year! Full gallery with larger pictures can be seen here.